The latest from National Organization for Marriage is an email titled: “Momentum Builds for Religious Liberty” with a graphic of a folded American Flag. 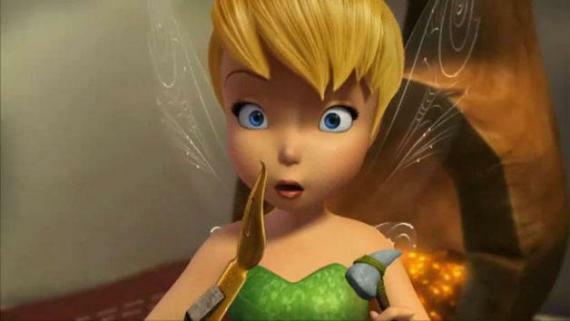 The email is signed, of course, by Brian S. Brown and it is a rehash of a Tinkerbell campaign — If everyone claps Tinkerbell will come back to life. NOM's powerful video urging President Trump to keep his campaign promise to protect and defend religious liberty by signing a pending Executive Order is gaining momentum. Already, thousands of Americans have watched our video and shared it with their friends and contacts. And now other major groups have joined the battle by issuing their own call to action. There is no “pending” executive order and a video cannot be “gaining momentum.” On February 1, The Nation published an early-stage draft (with composition errors) of a supposed executive order which could have been the handiwork of just about anyone. That was two days after Trump announced that he was leaving President Obama's workplace nondiscrimination executive order in place. The two things (the announcement and the draft) are mutually exclusive. 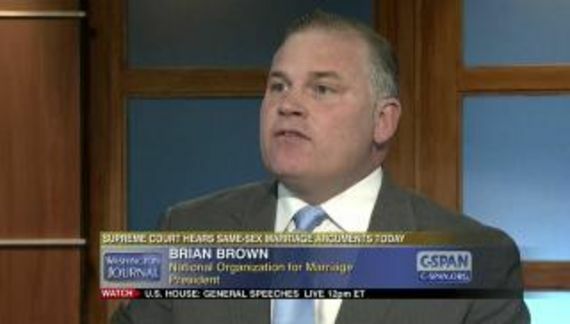 As much as Brian Brown might wish — or pray — that it represents a pending order, that simply is not the case. When you are asking for other people's money, words matter and this email is all about asking for money to fund the insolvent operation that is NOM. We’re gaining momentum in this fight, but much more needs to be done to ensure that President Trump keeps his commitment to protect and defend the religious liberty of people of faith. Please watch the video yourself. Send a link by email to all your friends and contacts, and post it on social media, using the buttons below. Sign our petition urging President Trump to execute the pending Executive Order. We know that the left, led by LGBT extremists, are ramping up pressure on President Trump to abandon his promises to people of faith. Sadly, we also know that some people in the White House are actively engaged in torpedoing the draft Executive Order. It takes real chutzpah for Brian Brown to call anyone an “extremist” and he doesn't “know” anything regarding what is going on in the non-functioning White House which is an extension of the deranged mind of Donald J. Trump. Note that we reverted from pending to “draft” EO. Our video, called 'A Time for Choosing,' is thus quite apt given the situation: President Trump must decide between keeping his word to protect the religious liberty of people of faith – the constituency most responsible for his election – or abandoning us to reward LGBT extremists who have been among his biggest opponents as a candidate and as president, and who have used their political power to run roughshod over Christians and other people of faith. There is nothing extreme about political opposition. There is certainly nothing extreme about opposing discriminatory actions by our president. NOM has always been a proxy for the U.S. Conference of Catholic Bishops. Extreme is the efforts of the Catholic Church to oppose its teachings on everyone as United States public policy. NOM has attempted to do just that since its founding eight years (and some 70 million dollars) ago.